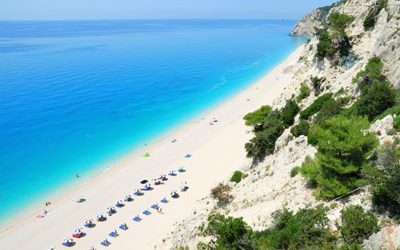 Lefkada beaches are known as the stunning beaches with the most impressive water in Greece. The crystal clean water and the breath-taking sceneries will definitely seduce you. 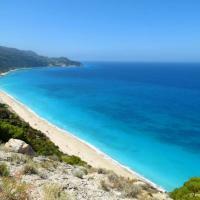 Afteli beach is a beach unknown to many visitors and even locals, which will definitely bewitch you. It is an organized beach with umbrellas and coffee. The road to the beach is narrow in many places, but the result will compensate you. 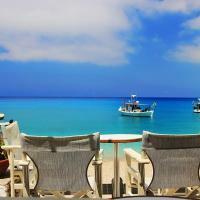 Agios Nikitas is a beautiful, picturesque bay with clean blue water. 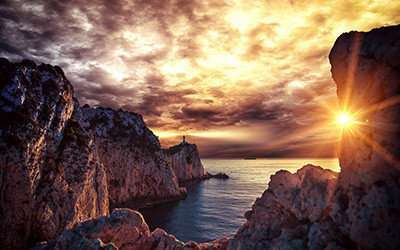 You will get there by walking through the village of Agios Nikitas. It is an organized beach with coffees and taverns. 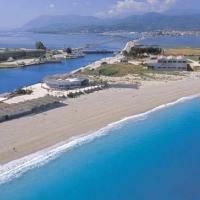 A beach with really clean water, which is located just 2 km away from the city centre of Lefkada. It is organized and the access is very easy. It is ideal for the lovers of kitesurfing and windsurfing, as after 4 in the afternoon it gets very windy. TIP: Most of the beach in rocky inside the water so you may need special shoes. 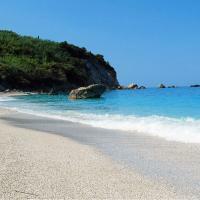 Within beautiful scenery, you will find Ammousa beach which is a beach with pebbles and very clean water. It is an easy accessible organized beach which is ideal for families. TIP: You may need special shoes to swim. 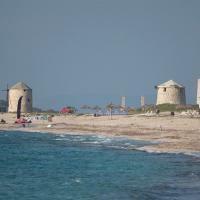 Ammoglossa is a wonderful beach opposite of the castle of Agia Maura in the entrance of the island. It is easy accessible by car and it is perfect for families. Small and not organized beach, Avali beach is the place for a quiet and relaxing swim and sunbathing. 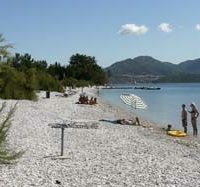 Desimi beach is a very well organised and at the same time quiet beach. There you can rent a canoe, a bike or a small boat in order to explore the small caves around the beach. The access is easy and there is place to park your vehicle. Episkopos is a beach suitable for children. It has calm clean and shallow water and it is between the villages Ligia and Nikiana. It is easy accessible, organised and with place to park. Gaidaros is a wonderful deserted beach. 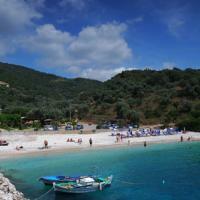 It is located after the beach Kathisma and before the beach Avali. You can only get there on foot from Kathisma or Avali beach. TIP: It is not arganized so get anything you may need before you go. Also, it is not shady. Gira is a sandy and very long beach. Its shallow, clean and calm water makes it perfect for families. Most of it is not organized and it is easy accessible with a lot of space for parking. Gialos beach is a wonderful long beach with clear blue water. It is ideal for those who sick for a quiet, non-crowded beach. There are two small snack bars and there is a lot of space to park your vehicle. The access is quite difficult and the main road was closed last summer because of the earthquake. However it is expected to be open this summer. Kaminia is a beautiful beach with clean blue water. The access by car is easy and you cross a wonderful pinewood. The beach is not organised. 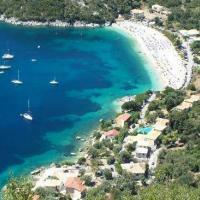 Kassandra is in a wonderful, shady small bay which very few are familiar with. In order to reach the beach you should park your car in the main road and cross the path through the pine trees. It is not and organised beach. Enjoy the beauty and placidity of this special beach! 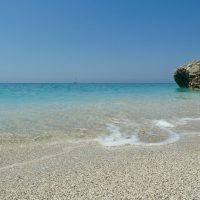 Kastro is a wonderful, sandy beach with easy access. It offers plenty of space to park your vehicle, sunbeds and umbrellas. TIP: Get whatever you need before you go! 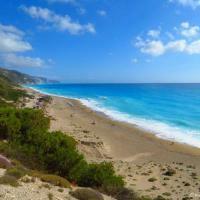 The beautiful beach of Kavalikefta is located near the village Kalamitsi. The scenery is wonderful and this organised beach will make you want to stay there the whole day. You can find sunbeds there, a small canteen and a private carpark. 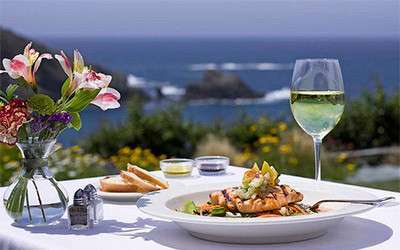 TIP: Prefer visiting the beach late in the afternoon so that you can enjoy your dinner in the idyllic restaurants that you will find in the villages above the beach. 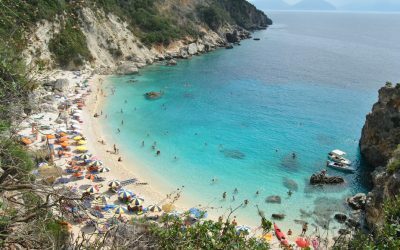 Krioneri is a picturesque beach with very clean but cool water- the name in Greek means cold water. 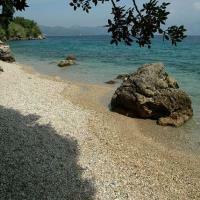 In the end of Ai-Giannis beach you will find a path in the woods, which will lead you to the beach of Krioneri. TIP: It is not organized so get whatever you will need before you go there! 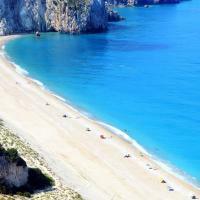 Limni is a very crowded beach in the area of Nikiana, besides the provincial road of Lefkada. It is perfect for families as the water is shallow and calm. TIP: Avoid rush hours if you want to find space for parking and sunbathing. Megali Petra is a sandy beach which is a continuation of the beach Kavalikefta. The beauty of the beach is remarkable, however the access is quite difficult. The road is narrow and there are a lot of turns. In the beach there is snack bar and car park. TIP: Avoid visiting the beach during the rush hour because of the difficult access. 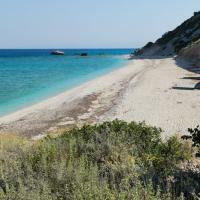 Mikros Gialos is a beach with thick pebbles in a wonderful green bay. It is ideal for families who want calm clean water and it is well organised. The access is quite easy. TIP: You should go early in the morning if you want to park near the beach. Miloi beach is a wonderful beach with a really easy access. The sails of the kite surfing and the magical sunset will seduce you. 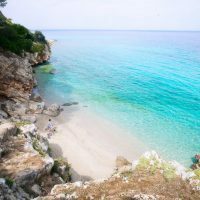 Υοu can reach this beautiful beach in just 5 minutes from the city centre. TIP: Don’t miss the sunset! You are in the best place to enjoy it! 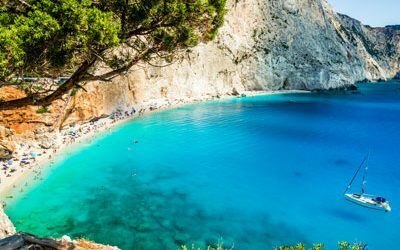 Milos beach is one of the most beautiful beach in Greece. The access is by sea by boat from the village of Agios Nikitas or you can go walking across a path starting from Agios Nikitas village(15 min walk). If you chose to walk through the path, the view will finally reward you. 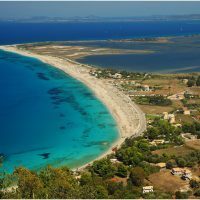 TIP: It is not an organised beach so shop whatever you will need from the village of Agios Nikitas. You should also take with you an umbrella as there is no shadow place on the beach. Last but not least, if you choose to go on foot be prepared by wearing sport shoes and not flip flops. The beach which is in the village Nidri is suitable for kids, it is well-organised and the access is very easy. The water is calm and shallow. You can enjoy plenty of water sports and the view from the beach is also stunning as you can see the islands Skorpios, Sparti and Madouri while you enjoy your sunbathing. 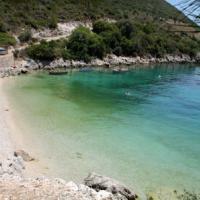 Along the village of Nikiana, you will meet many small beaches organized and not. They are easy accessible from the main road. And they are perfect for families. 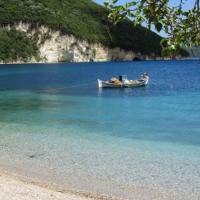 You will meet the Passa beach in the west side of the island, in Perigiali village. 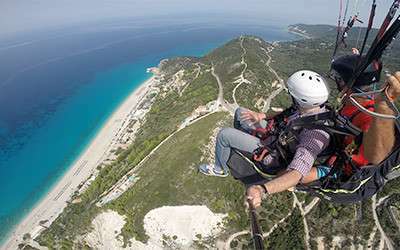 You can park in the main road from Lefkada to Nidri, as there is a lot of space. It is not organised and the water is shallow and clean. It is perfect for families! TIP: Take everything you may need from the villages around because there is no canteen or restaurant in Passa beach. 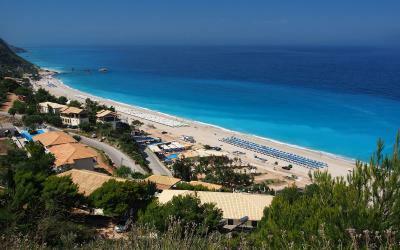 Pefkoulia beach is a long sandy beach where pine trees meet the sand and the blue water. It is not organized and the access is quite easy. There is place to park your car and you can enjoy your breakfast, coffee or lunch by the sea. TIP: On the right side of the beach there is a nudist beach. Perigiali beach is the continuation of the beach of Nidri. It has the same shallow water and it is organized as well. 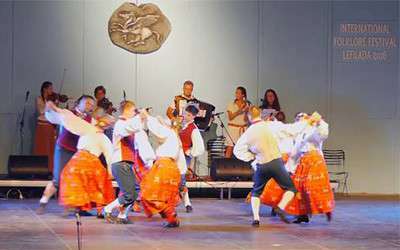 You can enjoy plenty of water sports there and there is a playground where children can play. Also, someone can find many different places around to enjoy you breakfast, lunch, coffee, juice or ice cream such as taverns or beach bars. 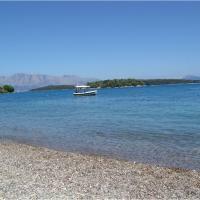 The view from Perigiali beach is wonderful because the islands opposite Nidri look great from there. The access is easy and there is space to park your vehicle. 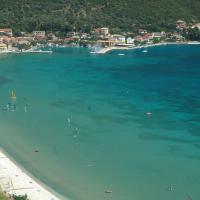 It is a top destination for the lovers of windsurfing. The water is shallow and the coffees, restaurants and snack bars which are near make it ideal for families.